Ok, why read my blog? I’ve been thinking about starting one for quite some time and decided that I would like a public space to share my work, my passions and experiences. Although my life has not been extraordinary, and I’m not famous, I have had an interesting life and the opportunity to do some cool things. In short, I was born in the late 50s into a military family and raised as a Navy “brat”, moving every 2.5 years or so. I was lucky: my Dad was an accomplished naval aviator and I had a wonderful mother who largely raised me while Dad was away. I also had an older brother who introduced me to new stuff, like surfing and Jimi Hendrix, when I was a kid. One thing about the Navy is that we were almost always fairly close to the sea; if not, my Mom would take us there because she loved it too. So over time, I developed a close affinity to the ocean, the one constant in my life. Having made that connection it was a natural progression to surfing when I lived in San Diego and eventually into a career in marine biology. In junior high, I became very interested in film-making and took movies of many of my early surf trips in the 1970s using an 8mm camera. Some of these are posted on my YouTube site along with movies of skateboarding, the thing you did when you couldn’t surf. 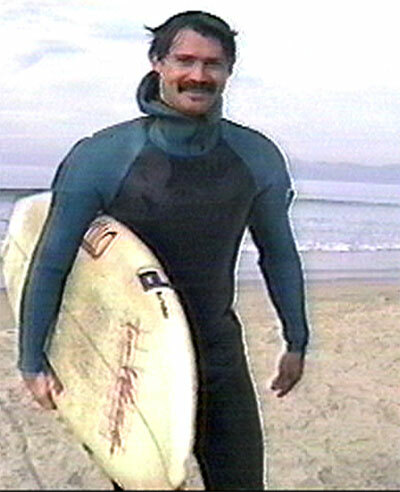 Naturally, when I went off to college the primary criteria was good surf, so I ended up at Cal Poly in San Luis Obispo; a wonderful school near great waves, and lucky for me, excellent professors in marine biology. I eventually went on to get my Ph.D. in Zoology at Oregon State University, which is where the “Dr.” comes in, Doctor of Philosophy that is. Philosophy of the sea to me. So, what about the abalone? Well, they were the link between surfing and marine biology. You see, after a day in the surf, I would comb the shoreline and eventually discovered abalone living in the nooks and crannies. I was very intrigued by abalone and have studied them most of my life. Hence, “Dr. Abalone.” Since finishing graduate school in 1991 I have had a wonderful career in marine biology, first at the University of Hawaii at Hilo, at Washington State University Vancouver, now most recently at Humboldt State University. Surfing the Oregon Coast, 1988. So this blog will cover a whole range of topics that relate to my story and might be of interest to those that love the sea, marine life, surfing, making films, science fiction, and other stuff. My goal is to write stories of general interest from a “popular science” perspective although my interests are much broader than that. I put a lot of thought into my posts, which takes time, so I’m not a prolific blogger. Hopefully, however, you will find what I have to write about interesting. 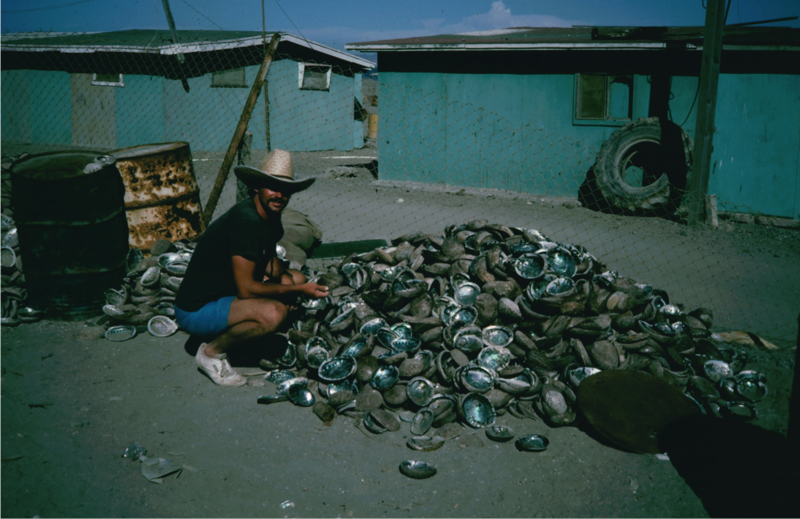 Dr Abalone in Abalone Heaven! Natividad Island, Baja California, Mexico. Photo by John Steinbeck. Nice to know to about your background, about your family and how you became Dr. Abalone 🙂 Keep on sharing wonderful things !!! Hello again! I thought you might be the same doc I conversed with years ago when I saw your vids on YouTube! (I had recognized my surf posse from early 1970’s, Santa Cruz.) Great to read your blog! Got the link from the California Surf Memories page on FB, a simpatico place to repost your stuff. Keep on writing! It’s been a good ride so far!